SIP Challenge 101 – Graduation! 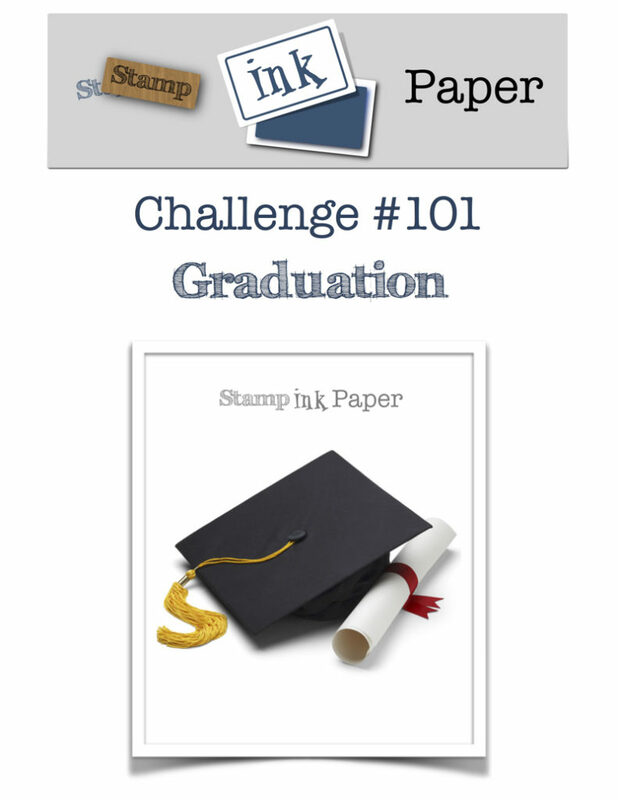 Home / Blog / SIP Challenge 101 – Graduation! 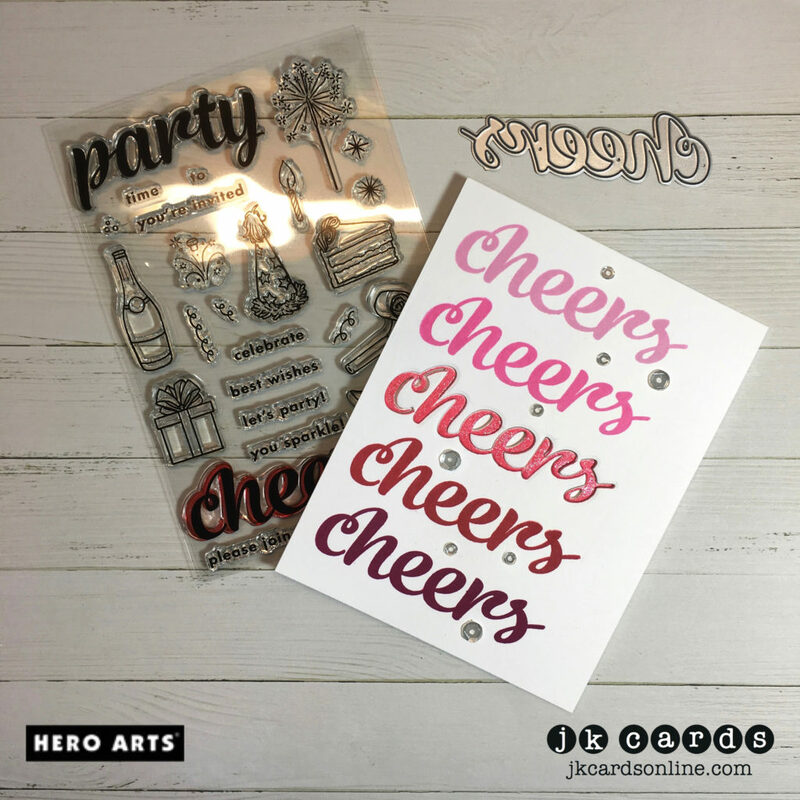 This entry was posted in Blog, Cards, Crafts, Embellishments, Hero Arts, My Monthly Hero Kit, Photopolymer, Pretty Pink Posh, Stamps and tagged Card Making, Crafts, Hero Arts, My Monthly Hero, SIP Challenge. Bookmark the permalink. Love this card! 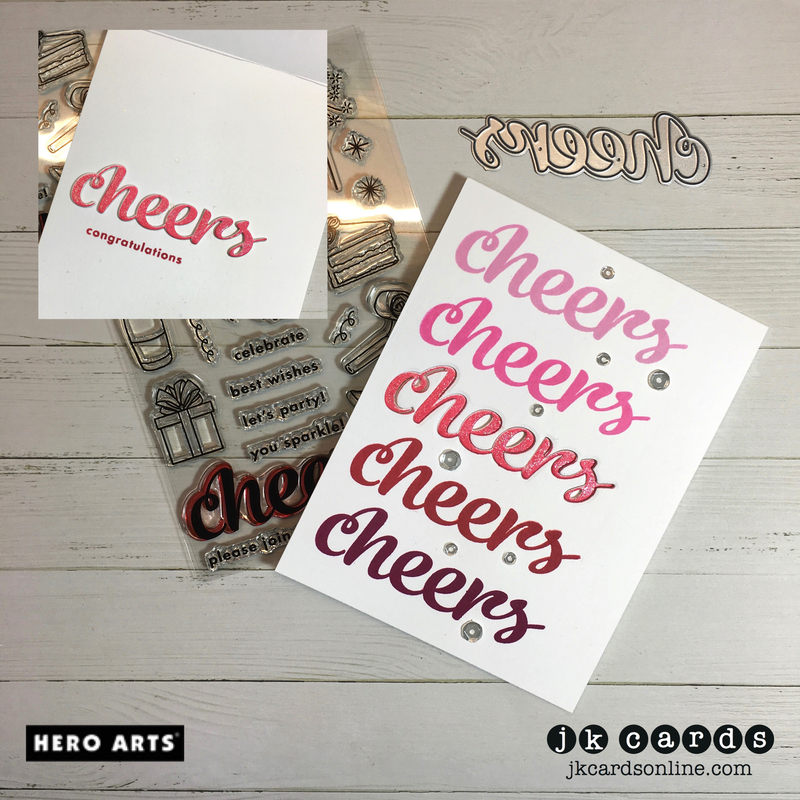 Cheers is one of my favorite sentiments. Love this one Justin! You have the knack for putting colors together that I lack. Putting the sparkle on the center Cheers really makes it stand out. 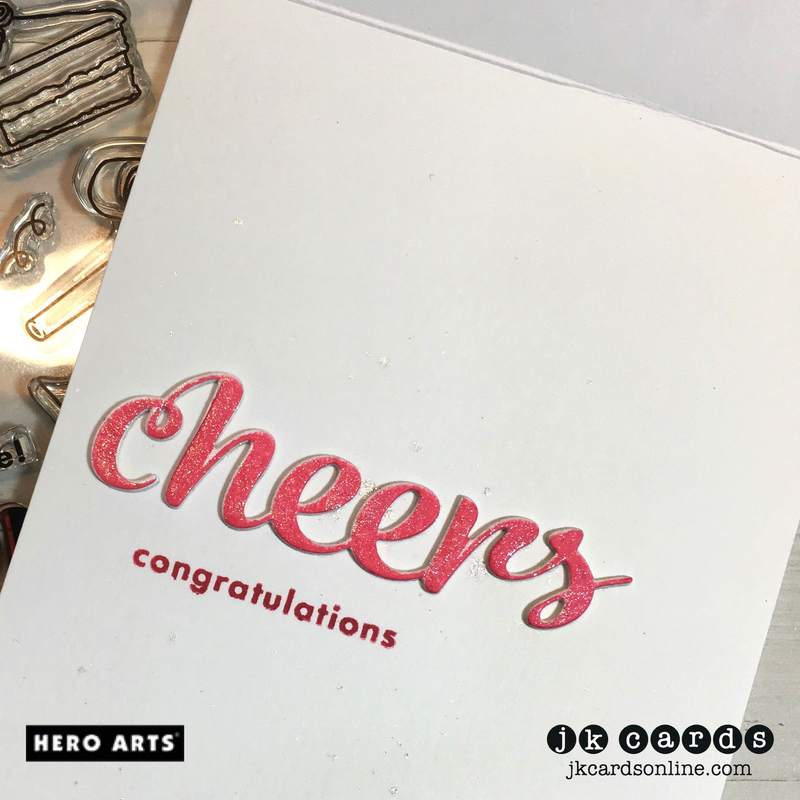 All around just a fabulous card with a “cheer”full message! Thank you Grace! I do love to try different combos! It’s always a nice surprise when they work! It was a nice simple card! Cute, and you can use this for several occasions. I love the mono colors here, they blend so well. Today was a long day back to work, but its only a 4 day week so thats good. Hubby has been in San Diego, visiting his brother, it was hs birthday gift. He’s home tomorrow, I’m excited, nice to have him gone but yep, I miss him. Luckily you cant tell him that. LOL Gotta keep him on his toes! Thanks Linda! It was nice and simple and I do love the Hero inks! LOL! Every day at work seems longer that it needs to be! I Your secret is safe with me!